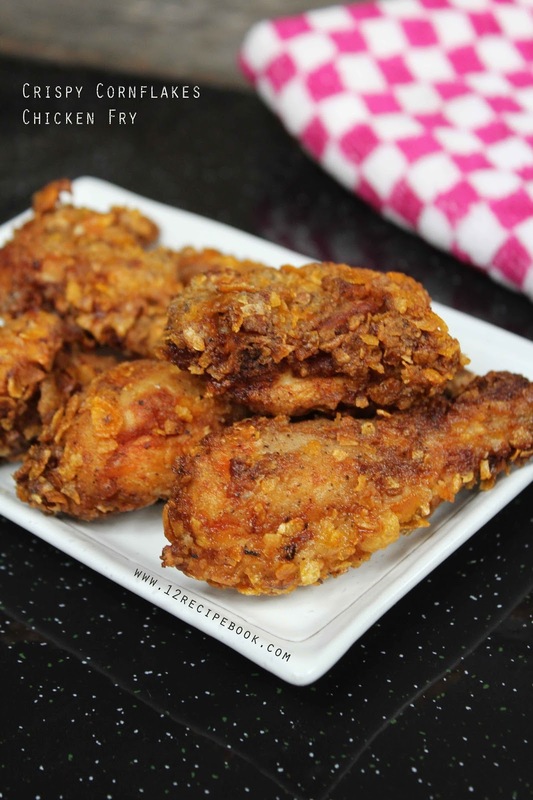 The golden brown crispy fried chicken pieces are the must try recipe for all chicken lovers. 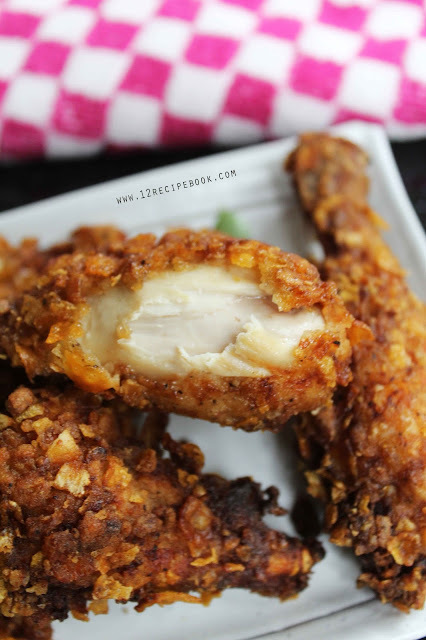 These crispy fried cornflakes coated chicken must be in your kids favorite menu. Wash the chicken pieces well, make some marks with a knife. In a bowl mix buttermilk with enough salt. Add chicken pieces in to it and mix well. Refrigerate for 4 hours to become the chicken pieces tender. In a large mixing bowl add well crushed cornflakes (using a blender or by hand), pepper powder, garlic powder (or you can add thinly minced garlic), herbs crushed, cornflour, flour and salt; Mix well. Take a piece of chicken; Drip any excess buttermilk; Coat it with cornflakes mix evenly. Coat all the chicken pieces evenly. Heat oil in a pan; when it reaches the smoking point; add the chicken pieces. Fry on medium flame until golden brown and crisp. Drain in to paper towels to avoid the excess oil. You must serve hot for best results and enjoy!! Do a double coating for extra crispiness. For that dip the coated chicken pieces again in buttermilk (or a cornflakes diluted water) and then coat it again in the cornflakes mix. Fry the chicken pieces just few minutes before serving; You can keep them in fridge by soaking in buttermilk up to overnight. Fry them on medium-low flame to get cooked.